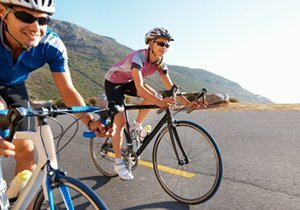 Questions about Your Rights After a Bike Accident in California? There is no easy way around it: all bike accident victims will face challenging questions about what to do next whether you are also dealing with serious injuries, property or other damages. At a time like this, you need answers. 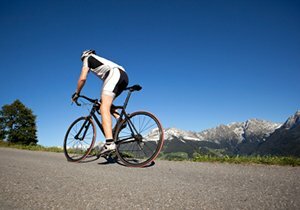 Here are some common questions cycling enthusiast and San Diego bicycle accident lawyer Frederick M. Dudek receives on a frequent basis after bike crashes. However, know that no two bicycle accident claims are the same. We provide theses general answers to what the best option may be not knowing the specifics of your claim. Use this frequently asked questions guide about bicycle accidents in California as a resource to prepare before meeting with an attorney for free legal advice. During a free claim review, our San Diego bicycle accident lawyer can answer your questions in real time and with a better understanding of what filing a bicycle claim means for your situation. There is never an obligation to move forward with filing a bicycle accident lawsuit or to use our services after a free consultation. Get the answers and legal representation you deserve. Learn if you have a case and how we can help when you call (858) 530-4800 today. What if it was partially my fault? 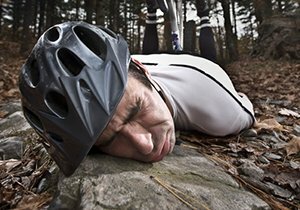 In a bicycle accident lawsuit, what sort of compensation could I seek? The most important thing to do after a bicycle accident is to seek medical attention for all injured parties. If possible, obtain insurance information from any other party, even if he or she is riding a bicycle. Some insurance policies also apply to bicycles. Furthermore, some bicyclists have special bicycle insurance coverage. Be careful how you interact with other parties in the period immediately following the accident. If you say anything like “I’m sorry,” then that could affect an eventual case. Make sure everyone is okay, but do not admit guilt or responsibility. If possible, take photos, videos and notes of the scene as soon as possible. If you were riding a bike during a car accident, you may receive a call from someone else’s insurance company. We strongly advise that you do not answer any questions at that time. 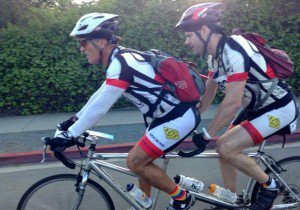 Instead, talk to a San Diego bicycle accident lawyer like Frederick M. Dudek. Only speak to an insurance adjuster after receiving solid legal advice about your accident. Who is responsible for the bike accidents? 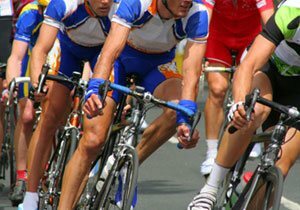 The most important factor in winning a bicycle accident lawsuit is to prove that someone else acted negligently. Biking in San Diego presents many opportunities for potential accidents, both on trails and at intersections. If you were using your bike as instructed by both its manufacturers and the law, then you have a right to seek justice for injuries. Since every case is different, you may still have options even when you do share some of the blame for the accident. For example, you may have broken a traffic law by riding on the sidewalk or riding in the wrong direction. However, an improperly fitted manhole cover or a speeding truck may have made the accident much worse. 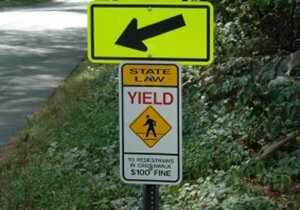 It is best for cyclists who believe they may be somewhat at fault to speak with an experienced attorney; they may still have rights to file bicycle accident claims. During a free consultation, our San Diego bicycle accident lawyer can help determine how much compensation may be available in your claim as well as your best legal options.